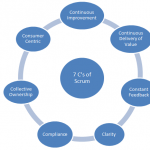 There are several reasons why projects are adopting scrum over traditional project development methodologies. But there are some obvious benefits of using this methodology. 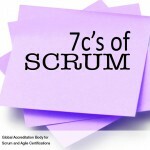 Let’s have a quick look at the list of key benefits of Scrum. 2. Transparency—All information radiators like a Scrumboard and Sprint Burndown Chart are shared, leading to an open work environment. 3. 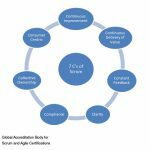 Continuous Feedback—Continuous feedback is provided through the Conduct Daily Standup, Demonstrate and Validate Sprint processes. 4. Continuous Improvement—The deliverables are improved progressively Sprint by Sprint, through the Groom Prioritized Product Backlog process. 6. 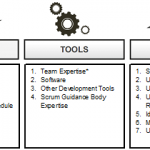 Sustainable Pace—Scrum processes are designed such that the people involved can work at a sustainable pace that they can, in theory, continue indefinitely. 10. Faster Problem Resolution—Collaboration and colocation of cross-functional teams lead to faster problem solving. 12. Customer Centric—Emphasis on business value and having a collaborative approach to stakeholders ensures a customer-oriented framework.